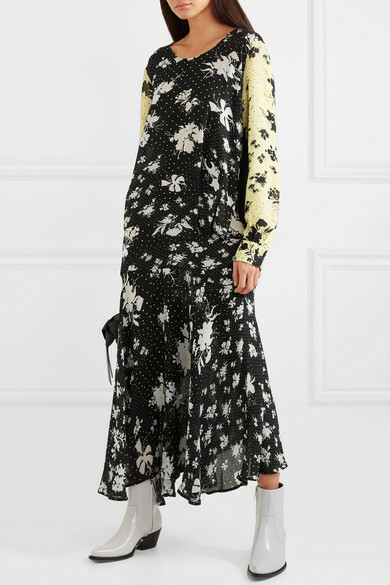 Preen Line has mastered the art of clashing prints with this 'Marin' maxi dress made of lightweight georgette. 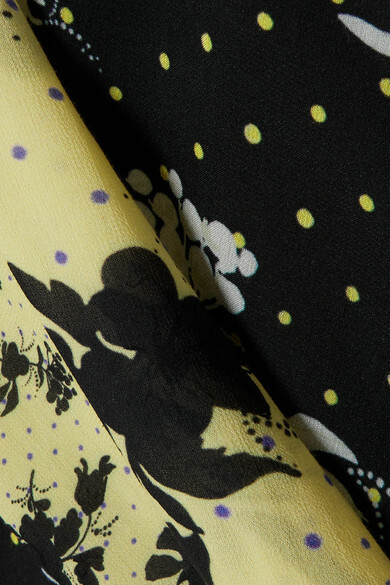 From the Spring '19 collection inspired by Riot grrrls, it mixes ditzy florals with polka-dots in contrasting black, white and lemon hues for maximum impact. It's cut to skim your figure and falls to a swishy asymmetric hem. Style yours with ankle boots or sneakers. 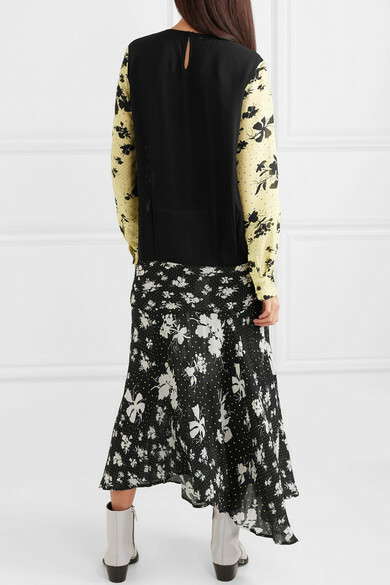 Shown here with: Acne Studios Shoulder bag, CALVIN KLEIN 205W39NYC Ankle boots, Leigh Miller Earrings.